The Maroons followed up their biggest game of the season—a 2–2 tie against fourth-ranked Carnegie in double overtime—with their most dominant win, an easy 5–0 blowout of Lakeland. Chicago’s (6–2–3, 0–1–1 UAA) result against Carnegie (8–1–1, 1–1–0 UAA) came on the heels of a disappointing 2–2 tie at North Park and a dramatic 3–4 defeat to Emory, both of which also went to double overtime. The Tartans, ranked fourth in the nation, came in riding a six-game winning streak, but found themselves trailing early against the South Siders. 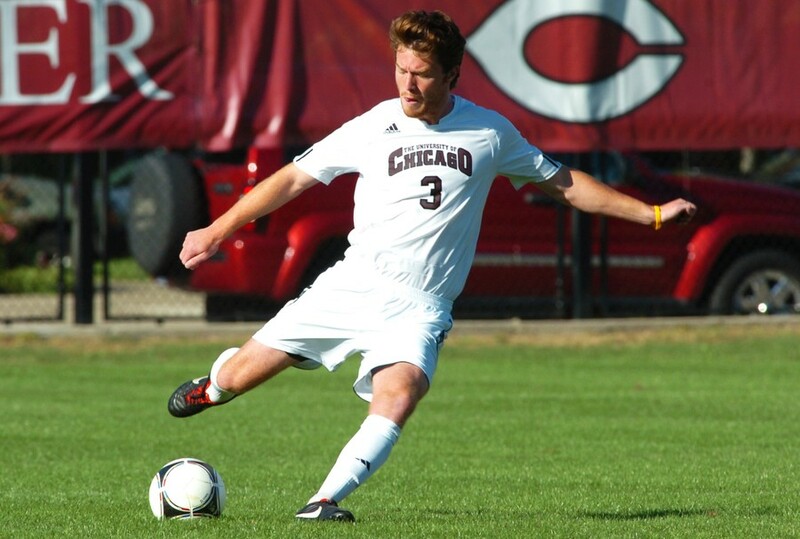 Chicago went up 1–0 in the 14th minute, when a Carnegie hand-ball in the box gave the Maroons an early penalty kick, which midfielder Michael Choquette slotted into the bottom left corner for his second goal of the season. The South Siders doubled their lead in the second half, as first-year Jorge Bilbao teed up Nic Lopez for a strike just outside the box in the 67th minute. The Tartans got one back just a minute later, though, as a free kick by defender Ben Bryant led to a headed goal by Carnegie’s Chris Wysocki. After a tense period that saw both teams earn further chances, Carnegie finally equalized in the eleventh hour. Bryant hammered home a volley from the top of the box after first-year goalkeeper Brett Wiesen, playing the second half after first-year David Cohen played the first, punched out a shot by Carnegie’s Mike Ferraco. The two ten-minute periods of overtime saw each side with two chances, but neither team could manufacture a winner. Chicago finished with the lead in shots, 16–15, while Carnegie had an extra shot on goal, with seven to Chicago’s six. The Tartans proved the chippier side, committing 23 fouls to Chicago’s 12 in a physical game that featured five yellow cards. The South Siders found the going much easier against Lakeland (2–9–2), as their offense came alive in a dominant second half. Chicago controlled the majority of possession and produced 31 shots in the game, while their defense was rarely threatened. Second-year Matt Vecchitto opened the scoring for the South Siders in the 14th minute, controlling a cross from first-year Peter Boxley in the box before blasting home. Hahn and Boxley were in excellent form in the second half against Lakeland, as Hahn provided three assists, and Boxley scored the first two goals of his collegiate career to go along with another assist. In the 63rd minute, on the break with numbers, Hahn set up Boxley for an easy finish into an open goal. Next, Hahn played in Jorge Bilbao who finished low past Lakeland goalkeeper Alex Piekarski in the 68th for the first-year’s seventh goal of the season. A minute later, again surging forward in the middle, Hahn found Boxley at the top of the box, where the midfielder created space with a clever turn before shooting past Piekarski, who had been left frozen. Lakeland’s captain, though, kept the score relatively respectable in the waning moments of the game with a flurry of diving stops. Boxley was involved again for the Maroons’ curtain call, putting second-year Nick Hollenkamp through with 19 seconds left in the game for the second-year forward’s first goal of the season. The Maroons, despite their strong weekend form, stand seventh in the UAA. Next weekend, they host Brandeis and NYU at home in two crucial conference fixtures.